SANTA CLARA, Calif., Dec. 4, 2018 /CNW/ -- Frost & Sullivan is proud to present the "2018 Global Price and Performance Leadership Award" to NIKSUN, the world leader in developing holistic cybersecurity and network performance monitoring solutions. 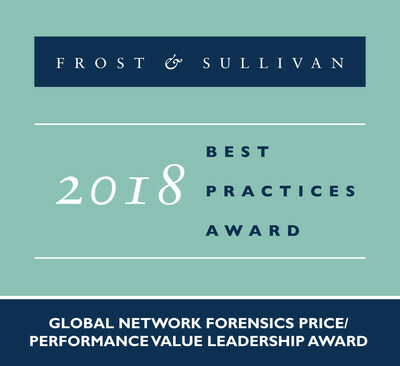 Based on its recent analysis of the global network forensics market, Frost & Sullivan applauds NIKSUN for its innovative solution that analyzes data streams, audits network performance, and strengthens network security, while keeping end users' capital expenditures (CAPEX) and operating expenditures (OPEX) to a minimum. "This award is a great achievement and NIKSUN is honored to be receiving such esteemed recognition from Frost & Sullivan," says Sunny Pruthi, Product Manager at NIKSUN, accepting the award on behalf of the company. "For over 20 years, NIKSUN's vision has been to offer the highest visibility and value in the network forensics space, and through the hard work and passion of our team, we push forth on our singular mission of remaining the market leader. 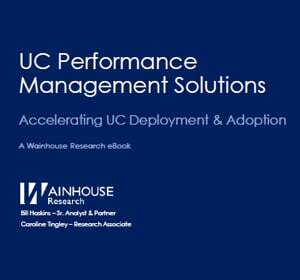 Frost & Sullivan recognizes the essential need for a scalable network monitoring platform, and we at NIKSUN strive to continue to offer the best performance in the industry." From the moment a connection is established between two end-use devices on a network, a variety of protocols are triggered, including session interface protocol (SIP), real-time transfer protocol (RTP), and general packet radio services (GPRS) tunnelling protocol (GTP). NIKSUN's solutions are engineered to comply with all protocols and handle throughputs exceeding 200 gigabits per second (Gbps). This high throughput offered by NIKSUN translates into 5 times less rack space in comparison to current industry offerings. "The short window of time in which NIKSUN's solution can monitor, record, and then scrutinize the metadata collected for security is a key differentiator in the market. 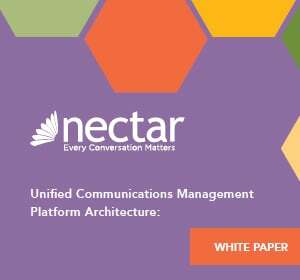 The solution also stands out for its enhancd scalability, which allows end users to add additional servers easily, without compromising any data collected by other recently added servers," said Rohan Joy Thomas, Industry Analyst. "Furthermore, if an end user procures NIKSUN's hardware for a specific application and then adds another functionality, only one license specific to that application needs to be procured because the underlying technology in NIKSUN's products is always the same." NIKSUN's solution is highly valuable when end users are capturing data across a heterogeneous network infrastructure as it provides a variety of key performance indicators (KPI), including the number of connections established over a period of time and the error rate based on failing connections. The solution then precisely pinpoints the cause of the failure and identifies any customers that could be affected. Furthermore, NIKSUN allows end users to gain complete insights into any incident and enhance the organization's cyber security defense more intelligently. This unique prioritization of features helps NIKSUN reduce its product footprint significantly, which, in turn, decreases OPEX. 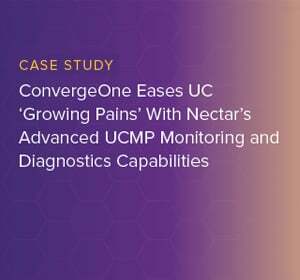 "Because its solution can first capture all data packets and then add protocol analyzers, NIKSUN helps many major commercial enterprises, governments, and service providers, including the U.S. Department of Defense, address key challenges during network convergence," noted Thomas. "Overall, for smoothly conducting all important use cases that form the core of its network forensics solution, while ensuring low CAPEX and OPEX for end users, NIKSUN richly deserves the 2018 Global Price/Performance Value Leadership Award." Each year, Frost & Sullivan presents this award to a company that has developed a product to best suit market and clients' needs. The award lauds the recipient company's price competitiveness, features, ease of product use, and service effectiveness. NIKSUN is the recognized worldwide leader in making the Unknown Known. The company develops a highly scalable array of real-time and forensics-based cyber security and network performance management solutions for government & intelligence agencies, service providers, financial services companies, and large enterprises such as retailers and manufacturers. NIKSUN's award-winning appliances deliver unprecedented flexibility and packet capture power. The company's patented real-time analysis and recording technology is the industry's most comprehensive solution for secure and reliable network infrastructure and services. NIKSUN, headquartered in Princeton, New Jersey, has sales offices and distributors throughout the US, Europe, the Mid East, and Asia-Pacific. Frost & Sullivan, the Growth Partnership Company, collaborates with clients to leverage visionary innovation that addresses the global challenges and related growth opportunities that will make or break today's market participants. For more than 50 years, Frost& Sullivan has been developing growth strategies for the global 1000, emerging businesses, the public sector, and the investment community. Contact us: Start the discussion.